Hybrid at heart, Exocet was founded in August 2014 by two young designers from Beirut & Hong Kong. Born with the idea of merging fashion & technology, the brand mixes traditional leather savoir-faire with cutting edge 3D printing technology, creating innovative yet wearable pieces. 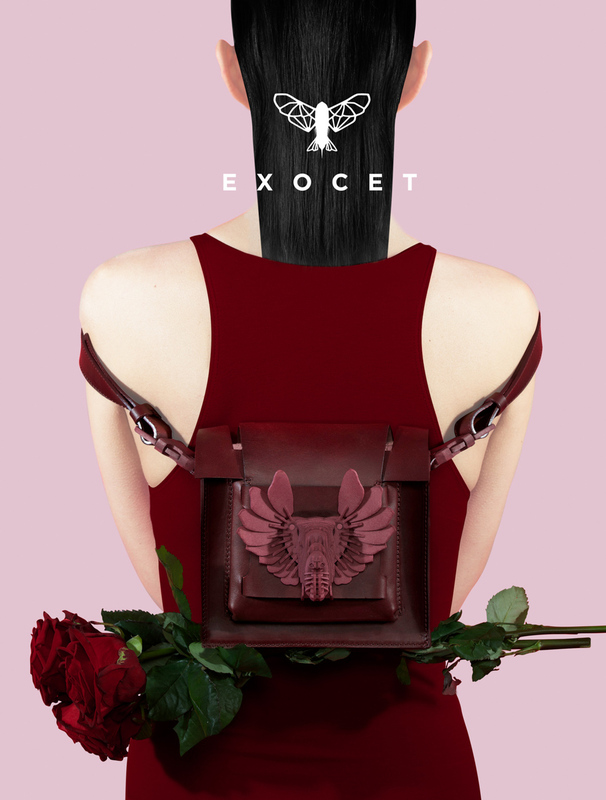 In January 2015, Exocet was selected by the STARCH foundation, a lebanese non-profit organization founded by Maison Rabih Kayrouz, to showcase their handbags. In September 2015, Exocet was selected among 800 international designers to take part in the FUTURE OF FASHION program, a competition founded by Not Just a Label and Premiere classe Paris.